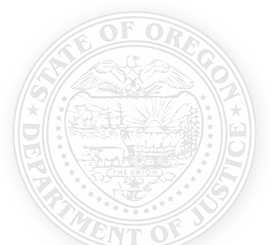 Oregon Attorney General Ellen Rosenblum today announced the members of an Attorney General’s task force that will study hate-motivated crimes. The task force was created between legislative sessions to review existing legal protections for victims of hate crimes and to make proposals to the legislature for strengthening Oregon’s laws. The task force will also look into whether law enforcement have the tools they need to investigate and combat these despicable behaviors. A hate crime is a crime motivated by prejudice in which a person targets a victim because of their race, color, religion, sexual orientation, disability, national origin, or other identified personal characteristics. “It is heartbreaking to think that nearly one year ago, the lives of several families were forever altered after two Oregonians were killed on the max train in Portland trying to stop a man who was spewing hate at two women because of their religion and the color of their skin. That tragedy should remind us that our work to prevent hate in our state is far from over,” said AG Rosenblum. If you believe that you or someone you know has been the victim of a hate crime, you should report the crime to your local police, county sheriff or the Oregon State Police. You can also report a crime to the Oregon Department of Justice using our online form at: https://justice.oregon.gov/crimereporting/hatecrime. The Oregon DOJ will ensure that your report is passed to the appropriate authority for investigation.